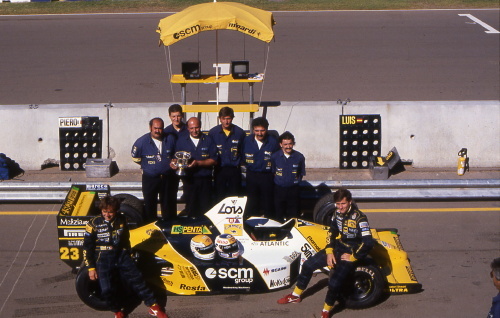 Minardi was one of 20 teams taking part in the post-turbo 1989 season, so any slip in performance would have relegated them to the oblivion of pre-qualifying. Luckily the team fulfilled a key requirement in the fast changing world of Formula 1: financial stability. Spanish group Lois stayed on as a sponsor, keeping both Martini and Perez-Sala in the drivers' seats. Aldo Costa and his young team of engineers designed the M189 which was powered by a Ford 3.5 V8 engine, with Pirelli supplying the tyres. While the tyres could be very fast during qualifying, with Martini even occupying the third spot on the grid in the final race in Australia, the Pirellis could be very unreliable. Nevertheless, the team managed to score its first ever double points finish at Silverstone, with Martini coming in 5th and Perez-Sala 6th. The result meant the team enjoyed a hero's welcome at Bologna airport and raised some eyebrows across the paddock. Things improved even further, with Martini leading the Portuguese Grand Prix (albeit briefly) and finishing 5th again. There was a brief scare for the team when Martini cracked his ribs in a fall from the steps of the team truck. 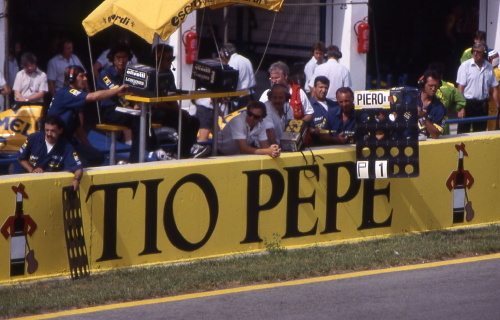 The injury was serious enough for Minardi to have to call on reserve driver Paolo Barilla, one of the heirs of the pasta empire, to replace Martini for the penultimate race. Martini returned for the final race in Australia, however, putting his car in the second row at the start and scoring one point by coming in 6th. 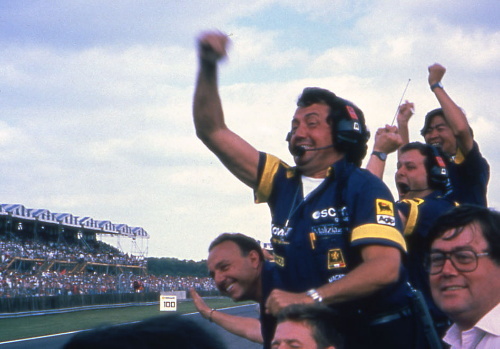 Minardi finished the season in 11th position with six points. Luis Perez-Sala left the team, and Formula 1, after the end of the season.